April 15, 2019 | by: The Morning Show with Colin! To Be Tiger Or Not To Be Tiger? 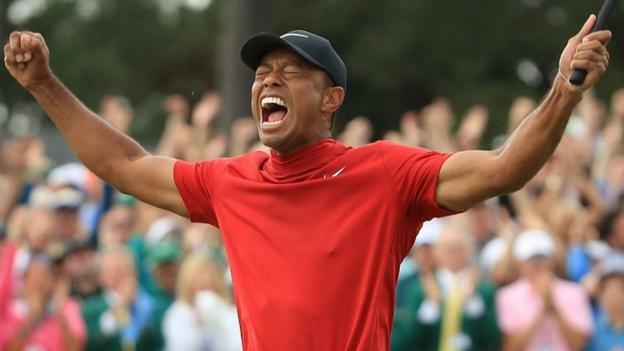 Tiger Woods, one of the Worlds Greatest Golfers, who won his 15th major championship, ending an 11-year drought and collected $2.07 million or the guy that placed a bet against Tiger? Tiger won a lot of money at the Masters source. If you’re Tiger Woods, there’s no doubt there’s a lot of pressure. You’re on the world stage, trying for a comeback after so many years of uncertainty. Health problems, relationship problems, golf game problems. Years of practice, millions following your every move when it finally happens! The green jacket at The Masters. Or the guy that placed a bet on Tiger and won nearly $1.2 million? All that guy had to do was find somebody willing to take his money, then watch the Masters on TV with his fingers in the Cheetos.